For the first time, the American Academy of Pediatrics (AAP) is recommending pediatricians screen all children for food insecurity. 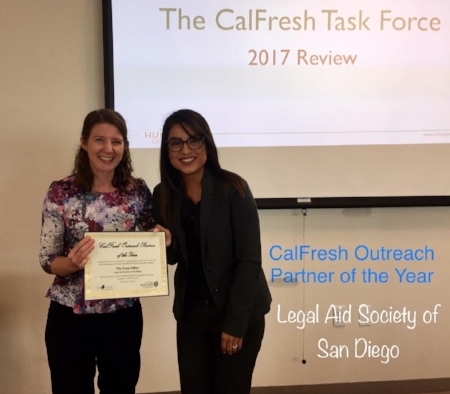 Experts in the healthcare field are now better prepared to screen for food insecurity in their settings thanks to a presentation made by our CalFresh Outreach Director Amanda Schultz Brochu at this year’s California Food Policy Advocate’s CalFresh Forum. The annual forum brings together hundreds of key stakeholders from across the state to identify opportunities and discuss strategies to improve the reach of CalFresh. Amanda was a panelist with other public health and hunger experts presenting on models from their communities for identifying food-insecure patients in healthcare settings and connecting them to CalFresh and other food assistance programs. 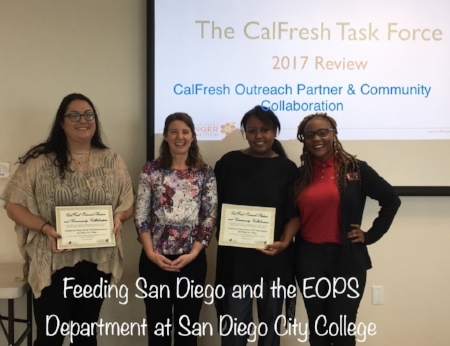 She presented on the San Diego Hunger Coalition's 2014-2016 work to integrate food insecurity screenings into healthcare settings in San Diego County, which included coordinating Rx for CalFresh pilots across six unique healthcare settings and developing a food security and healthcare curriculum in partnership with the UC San Diego School of Medicine. This work was the basis for our groundbreaking report Launching Rx for CalFresh in San Diego County: Integrating Food Security into Healthcare Settings. 1. We worried whether our food would run out before we got the money to buy more. 2. The food we bought just didn’t last and we didn’t have money to get more. The San Diego pilots also helped identify the best options for enrolling patients in CalFresh ranging from referring patients to a local nonprofit providing application assistance, which can be a challenge for patients if the organization is not located within close proximity to where a client lives or works, to on-demand on-site assistance which has the best enrollment results but requires a full-time application assister. 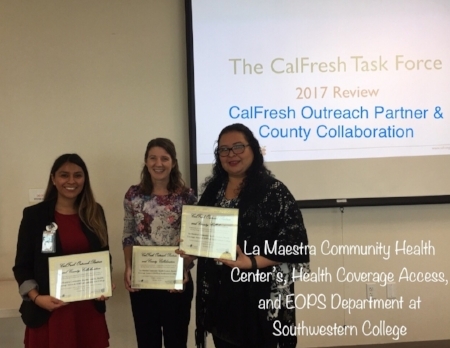 Clinics and hospitals that provide their own CalFresh application assistance often pair this with their existing Medi-Cal assistance program. An important part of Amanda’s presentation were the lessons learned from our Rx for CalFresh pilots. 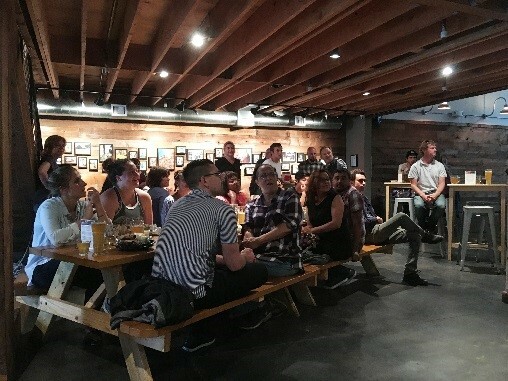 These included training medical staff on the connection between food security and health outcomes, as well as how to pose what can be very sensitive questions. Integrating screenings into Electronic Health Records was also found to be key in evaluating the process and outcomes and creating replicable templates that make it easier for more healthcare settings to use. Each panelist stressed the importance of being results driven and creating measurable action in order to get funding and effect policy as well as using a collective impact approach to share learnings and metrics with others in the hunger, poverty and healthcare fields. As a result of Amanda’s presentation, Second Harvest Food Bank in Orange County has already reached out to a healthcare system in their area to explore integrating food security resources.